18th May 2016...The Highest ever temperature (Official and reliable) for India has been recorded at Phalodi (West Rajasthan)...50.5c. This is a record, and the Highest ever for India. Churu followed with 49.1c, Jaisalmer 48.8c, Barmer 48.1c. Hottest in Maharashtra on Wednesday was Akola at 47.1c, and Hottest in Gujarat was Surendranagar at 47.8c. Idar followed with 47.6c, Gandhinagar saw 47.0c and Ahmedabad was hot at 46.9c. New Delhi Palam was 46.4c. Larkana in Sindh saw an unimaginable 52.0c,( Minimum at Larkana was 33.2c), Sibbi and Mohen-Jo- Daro saw 51.0c, Jacobabad and Padidan 50.5c...to mention the "above 50s" only. 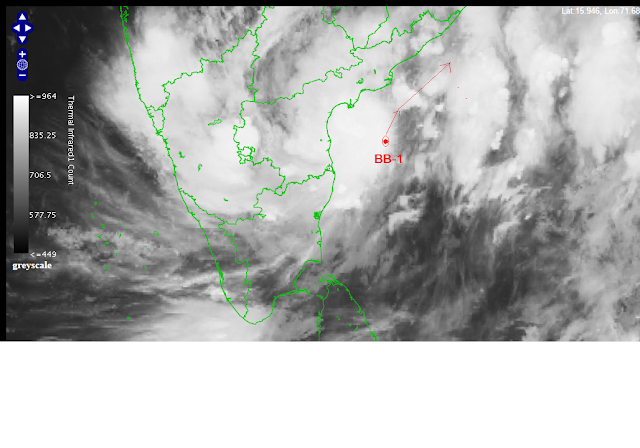 BB-1, a deep depression is located at 14.4N and 81.4E, 160 kms East of Nellore on Wednesday evening. Estimated pressure is 993 mb and core winds estimated at 40 knts. Tracking NE. Dadu had the second highest temperature today at 51.4 C.
Sir,in my memory before 15-20 years in dur darshan weather report they showed 51C for Sri ganganagar Rajasthan. ....not syor about exact year but syor about 51C.....is it not official? Heavy rain in bangalore last evening. Most places got 25mm to 35 mm. Rain started around 6.30 pm. Hyderabad pakistan recorded its all time high at 49 c.
Rajesh sir ,Nagothane,roha regions experienced light rain for 2-3minutes at 2:30am today morning. 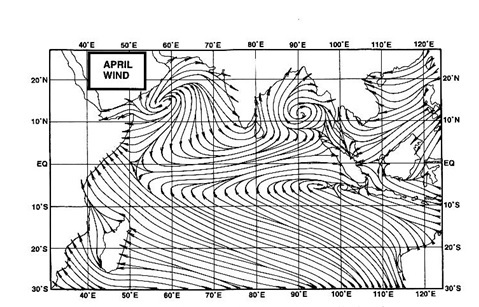 rajesh sir,is low pressure expected in arabain sea?would it affect maharashtra ? Many blogs suggest heat will return back to peninsular India! !